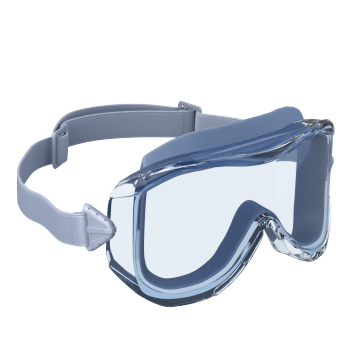 Offering greater protection and a more secure fit than safety glasses, these safety goggles enclose the entire eye area to block out flying debris and splashes. They provide at least 99.9% UV protection. Intended for general use, these safety goggles keep debris out of your eyes. Use them where you don't need protection from a specific hazard. Seal out liquid splashes with these chemical-resistant safety goggles. They provide full coverage around the eyes and have indirect vents that allow air circulation to minimize fogging. 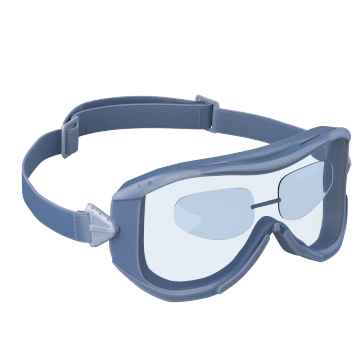 Safeguard your eyes from dust and airborne particles with these safety goggles. They are nonvented to block fine particles. 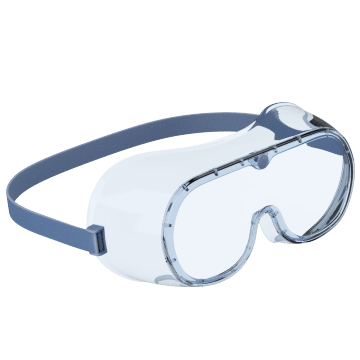 Dust protection goggles are typically used for woodworking, buffing and grinding, drywall and insulation installation, and other dusty work. They are also a suitable choice for those who wear contact lenses. Made to withstand impacts from flying debris, these safety goggles have durable lenses that also resist scratching. They meet ANSI Z87+ specifications for impact-resistant protective eyewear. Filter out laser wavelengths while maintaining your sight by wearing these safety goggles. They have specialized lenses that help protect your eyes from damage that can be caused by lasers. 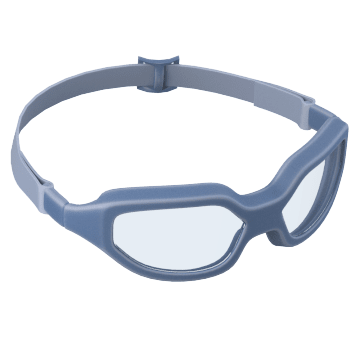 These laser-resistant goggles are used for medical, military, research, aviation, and industrial laser applications. 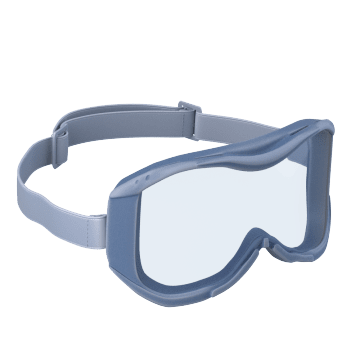 Keep smoke from getting in your eyes with these fire safety goggles. They have fully-sealed vents and padding that forms a seal against the face to block out smoke and particulates. 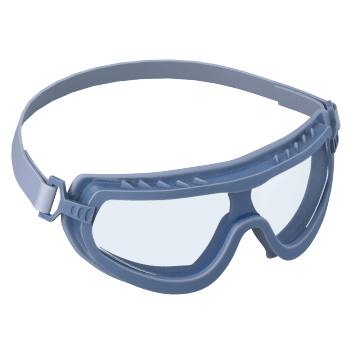 These goggles are typically used during fire fighting and first response operations as well as in other smoky or particle-laden environments. 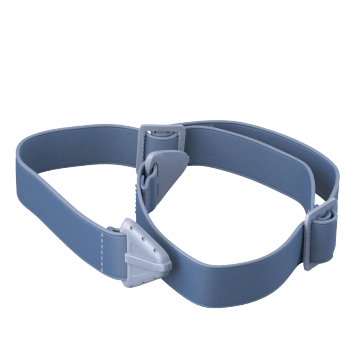 Replace broken or worn straps with these new straps to ensure that your safety goggles fit properly. 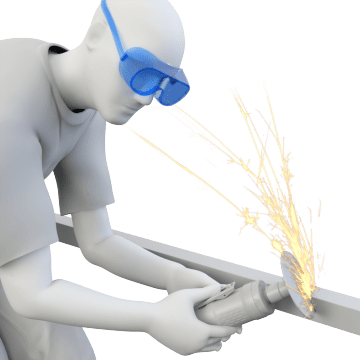 They offer a more cost-effective option than replacing the goggles themselves.